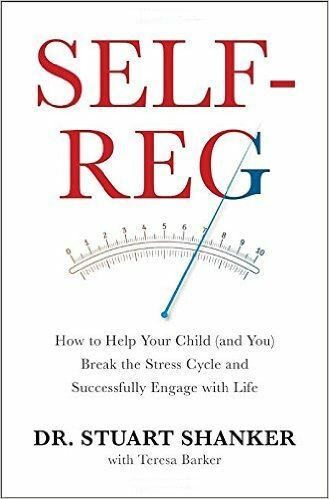 Self reg is more of a textbook aimed at professionals than a book aimed at parents. It contains a lot of general theories and a whole lot more specific real-life examples but it doesn't have step by step problem solving procedures. It acknowledges that all problems are different and it’s trying to teach parents and professionals to “problem solve” using the Self Reg framework. The book starts off with some theory exploring the various systems at work in a growing person’ body. There's a lot of detail on various social experiments, marshmallow theory and various experiments aimed at exploring the relationship between parent-child interaction. It's all quite fascinating and there’s more than a few “ah-ha” moments as Stuart points out the flaws in these experiments. From here, the book talks about change but what makes it radically different from most books is that the direction of the change is very much in the opposite direction to what is recommended in most books. In fact, from a parent’s point of view, many of the changes will feel like “giving in to the child”. Stuart explains this difference stating that the aim of the change is not “control” but “regulation”. He tells us that we’re always telling children to “control themselves” but that control is not like a muscle. It doesn’t grow stronger the longer you exercise it. If you successfully delay gratification, such as eating food, it doesn’t make you “starve-proof”. In fact, the longer you delay food, the hungrier you’ll get. Eventually you’ll give in and eat. Self Reg is about knowing your body and regulating your body’s responses to your environment. For example; a child who is about to have a meltdown is encouraged, not to “control themselves” but to regulate their surroundings and interactions to reduce the likelihood of a meltdown occurring in the first place. Parents are encouraged to stop arguing with their children and instead work on ways to soothe them and to calm down their environment. It's all very different and quite exciting. I can't wait to try out some of the theory on my own kids. Of course, it's going to be a stretch to get parents to interpret real-life events in the context of this book and that's primarily the reason why I feel it belongs in the hands of academics and professionals more than parents. Self reg is a very interesting read which challenges current practices and brings some exciting new techniques to child-raising. I'd recommend this book to anyone involved in behavioural sciences or working with difficult or different children. It's particularly suitable for children with stress and/or sensory issues, including children on the autism spectrum. 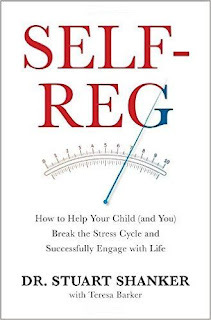 Self Reg: How to Help your Child (and you) Break the Stress Cycle and Successfully Engage with Life by Stuart Shanker is available from Amazon (in Hardcover, Kindle or Audio CD), Goodreads (in Hardcover or Kobo), Booktopia (Hardback) and the Book Depository (Hardback or Audio CD). It will be available in various eBook formats, including Google Play from 30 June 2016. Honesty Clause: I was provided with an eBook version of this book free of charge for review purposes.